Olive Oil, Almond and Lemon Cookies from DuoDishes.com. To kick off our last week before Kwanzaa, we wanted to touch base on other ways to bring health and well being into the season. This is a time for cooking and baking, which has long been a sign of care and nurturing amongst communities. Of course, the month of December, and the week of Kwanzaa specifically, do find themselves centered around food and various culinary experiences. Cookies, pies, cakes. You name it, you’re eating it. When Oldways detailed its new African Heritage Diet Pyramid, the appearance of sweets at the tip top of the triangle signified the need to reduce intake of too many sugary desserts. Many of our sweet treats feature fats and oils that do not benefit our health or waistlines. One way to amend that fact is my switching from butter and nonnutritive oils is by switching to olive oil. If you’ve never baked with olive oil, this is the season to try it. A batch of cookies. A loaf of bread. A flakey pie crust. A round bundt cake. These are all goods that can be baked with olive oil. This may sound like crazy news to some, especially some of us who are used to our traditional butter-filled holiday favorites. California Olive Ranch is one of the largest producers of olive oil in the United States. Earlier this month, the company hosted its Baking a Better Holiday Contest along with Bob’s Red Mill. Fans of both brands were encouraged to develop their best combination for California Olive Ranch and Bob’s Red Mill products for their holiday baking rounds. During the month-long event, California Olive Ranch educated its followers about the best ways to make an oil swap and which recipes work best with olive oil. Although the contest winners have been announced on Facebook, the push to get more people baking with olive oil continues. The California Olive Ranch wants to make sure that even more people are aware of the positive benefits of olive oil, which is why the company has agreed to share its product with you in the hopes that you will transform traditional foods into healthier traditional foods. Olive Oil and Sour Cream Pound Cake from DuoDishes.com. 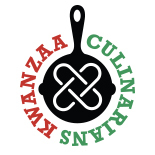 Tomorrow, Tuesday, December 20th, you are invited to the Tweetchat with Kwanzaa Culinarians, Oldways and The Duo Dishes. We’ll be talking about all things Kwanzaa, especially as it relates to food. Be sure to follow everyone on Facebook and use the hash tag #Kwanzaa with your tweets. We’ll chat about baking with olive oil, and you could win a bottle of California Olive Ranch’s Limited Reserve Extra Virgin Olive Oil. Would you revamp your famous sweet potato pie? 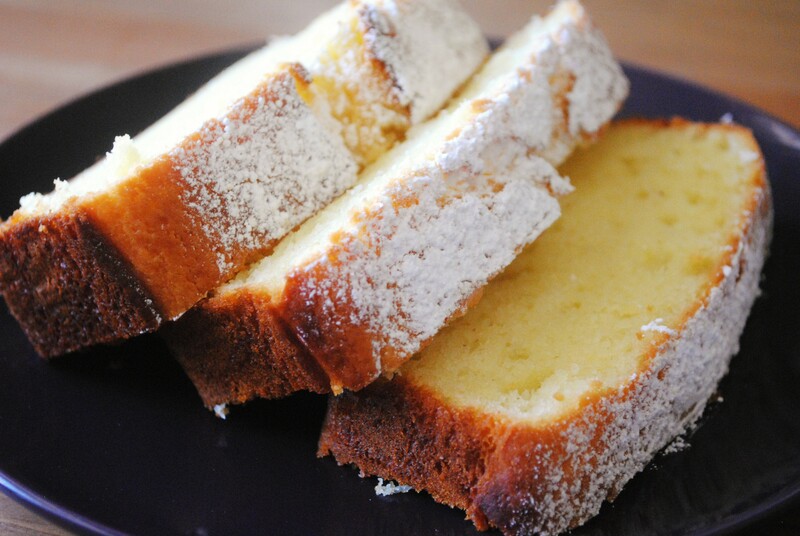 Attempt to amend the family’s favorite pound cake? Tackle your grandmother’s well-known German chocolate cake? What about making the crust for pecan pie from scratch without the butter or shortening? Join the Tweetchat at 1:00 pm pst/4:00 pm pst tomorrow and let us know how you’d incorporate olive oil into your cooking and baking. 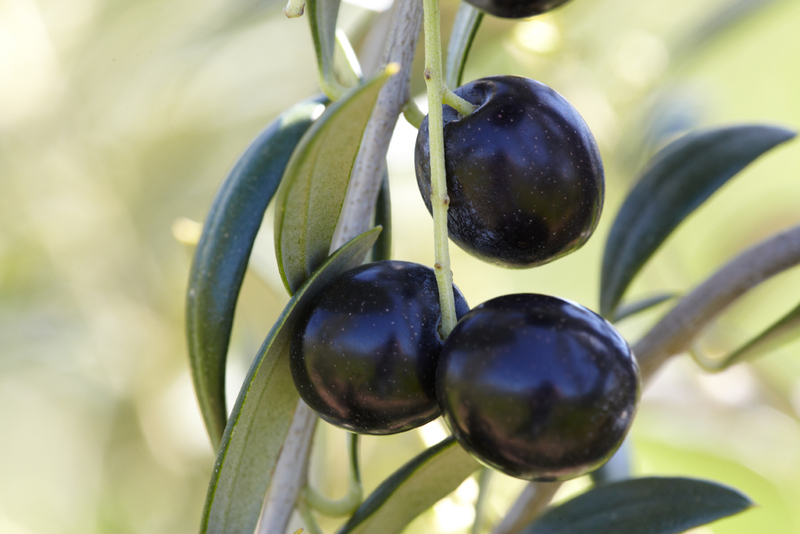 If you haven’t been convinced, consider a few of the facts about olive oil. It is full of monounsaturated fats that do not clog our arteries, aid blood circulation and lower cholesterol. This could lead to lower levels of heart disease. Olive oil helps your cardiovascular system, bone structure, brain function, and aids digestion. It is also as an anti-inflammatory. The lipids in olive oil provide glossy moisture for skin, hair and nails. It has long been a main staple of healthy diet practices due to all of these positive bodily rewards. What does baking with olive oil have to do with Kwanzaa? Any change for the better starts with small steps–small steps that lead to accomplished goals. These accomplished goals better ourselves. They better our families. They improve our communities. Nia, Swahili for purpose, is the Kwanzaa principle celebrated on the fifth day. It requires every person to contemplate what their skills or talents can contribute a positive service to self, family and community. As lovers of food, as cooks and chefs, as the men and women who determine what we feed our families and friends, we are responsible to make healthier, greener and more sustainable choices to ensure that fellowships over meals are enjoyable and helpful to our minds, bodies and souls. We do not have to change all holiday traditions until they become foreign and unrecognizable, but we should be open to revising smaller elements that will only be beneficial in the long run. 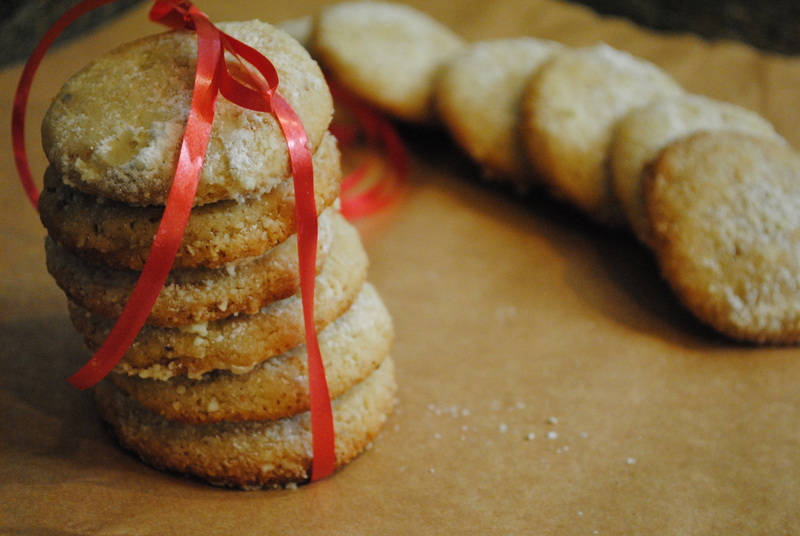 Below you’ll find the recipe for the Olive Oil, Almond and Lemon Cookies featured above. 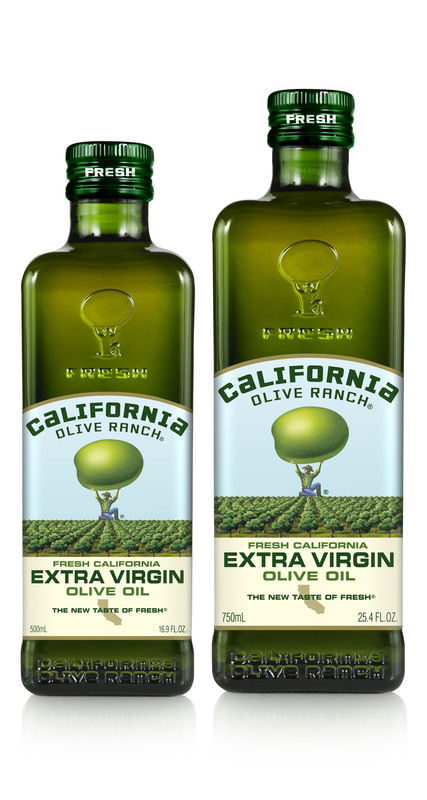 They include one of California Olive Ranch’s signature blends–the Limited Reserve. This is only a starting point if you are interested in incorporating olive oil into your dessert regime. Try these: Hazelnut and Olive Oil Shortbread, Chocolate Coffee Cake, Olive Oil Pecan Pie, Olive Oil and Sour Cream Pound Cake and Olive Oil Chocolate Chip Cookies. 2. Whisk together the flour, almond flour, ground almonds, salt, baking soda and baking powder in a medium bowl. In a separate large bowl, whisk the olive oil, sugar, almond milk, almond extract, lemon zest and lemon juice. 3. Fold the dry ingredients into the wet ingredients until well combined. For each cookie, scoop roughly two teaspoons of dough into your hands and shape into uniform balls. Bake for 10-11 minutes or until the bottoms are golden brown. Remove from the oven and cool for 2-3 minutes before sliding the cookies onto a cooling rack. 4. Dust the cookies with powdered sugar, and cool completely. Dust with more sugar if desired. Store in an airtight container. *The ground raw almonds can be substituted for extra almond flour, but the texture difference between the grinds creates a pleasant texture in the cookies. **These cookies feature California Olive Ranch’s Limited Reserve Extra Virgin Olive Oil, which is only available during the harvest season. Use a quality olive oil for these cookies that has a fresh, fruity and floral flavor. Join our Tweetchat with Oldways and The Duo Dishes on Tuesday, December 20th at 1:00 pm pst/4:00 pm est as we talk about all things #Kwanzaa. Be sure to follow @KwanzaaCulinary, @OldwaysPT and @TheDuoDishes to participate and win giveaway prizes, including olive oil from California Olive Ranch. I know i would love love these cookies. I’m very interested in finding alternative baking ideas that push the taste envelope and aren’t so sweet. The almond flour and ground almonds must add a wonderful texture. This entry was posted on December 19, 2011 by The Duo Dishes in 2011, Recipe and tagged baking with olive oil, California Olive Ranch, giveaway, holiday baking, Oldways.